Based on what we've seen and heard during the Canadian Grand Prix, the chances of Red Bull retaining Renault Power Units for next year are really slim - so slim they're almost invisible. While on the track Max Verstappen did a great job to be third on the grid, just 0.173s off pole position, and then confirmed his pace in the race with his second podium finish of the year, in the paddock there were clear signs the partnership that dominated Formula One between 2010 and 2013 is as good as broken. While Renault can genuinely say they fulfilled their promises with the engine upgrade they took to Montreal, it's still clear the French have no answer for Mercedes and Ferrari in qualifying. And, as we painfully saw on Sunday, if you don't qualify at the front, your chances of winning races are not very high, given how sensitive this generation of cars is to running in another car's wake. But even the progress made by the French wasn't really enough to satisfy anyone at Red Bull, as it was clear in one of Max Verstappen's answers to the media. Asked what this new engine upgrade meant and what was now missing from the engine side for Red Bull to beat Ferrari and Mercedes, the Dutchman said, "this upgrade brought a bit of progress, but we'd need another upgrade immediately to be in a position to fight for pole positions and wins." Adding to Red Bull's belief they need to change something quickly to be in a position to win the World Championship again, the company's junior team used an upgraded Honda Power Unit and it was immediately clear the Japanese had made quite a lot of progress with their new engine. Yes, there was an issue with the MGU-K in Pierre Gasly's car at the end of FP3, forcing the Frenchman to qualify with the old version of the Power Unit, but the fact he was 0.46s slower than Hartley - using the new version - in Q1 shows how much the Honda V6 improved with the changes introduced with the new upgrade. Changing for another new generation engine for the race, Gasly had to start from the last row of the grid but finished the Grand Prix in 11th position, after overtaking Sirotkin, Grosjean and Perez in the long straight after the hairpin. During the McLaren years it was unheard of a Honda-powered car overtaking anyone on the straights, but last Sunday Gasly passed three cars in a straight fight, so Honda has made genuine progress and has shown it understands what needs to be done to make great strides. And it was not lost on anyone the irony of Brendon Hartley, a driver that was given as good as sacked after his poor start of the season until the Spanish Grand Prix, beating the mighty Fernando Alonso and Stoffel Vandoorne's McLaren in the two qualifying sessions the trio took part in last weekend. In the paddock many believed Honda has now caught up with Renault in terms of maximum power and deployment, so given the respective progress made in the last few months, it's relatively safe to predict once the final upgrades are introduced, just after the summer break, the Japanese will move ahead of the French. That seems to be the dominating line of thought at Red Bull Racing and having access to a lot of data from Toro Rosso, they're in a position to make a very well informed decision in a few weeks, regarding with which engine manufacturer they'll work with in 2019 and 2020. On top of sporting reasons, Red Bull will also have to consider the commercial implications of the two deals it has been offered: on one side they're a Renault costumer, have to pay for their Power Units and have no say in the design and development of the French V6. Yes, TAG Heuer pays for most of the engine deal but this is not to say the watch manufacturer won't continue to sponsor Red Bull even it couldn't brand the engine. Also, there's the distinct possibility of Red Bull being forced to drop Aston Martin's sponsorship while working with Honda, but the Japanese manufacturer may be in a position to fill that gap in the budget, given it's currently spending a lot less money on Toro Rosso than it was in McLaren from 2015 to 2017. Given Red Bull and Renault's reactions at the end of the Canadian Grand Prix, I think it's fair to say the Austrian team has solved its Power Unit conundrum, opting to move together with Honda, using the lessons learned by Toro Rosso this year and throwing the might of its inventive design department to help the Japanese continue to make lighting progress over the next two years. Imposing impossible goals to the Japanese, to benefit the aerodynamics of your car is the wrong way to go, as McLaren proved for the last three years; going into a real equal partnership with the two sides making concessions when they're for the better of the whole package is the way to follow, as Toro Rosso, with its much more limited resources, is demonstrating since the start of this season. What seems to be decided is which side will announce the end of negotiations to try to look as the one who did the decisive move. From Red Bull's side, playing the long game, like Christian Horner indicated in Montreal, seems to be the strategy. "We go away with a lot of data to analyse, a lot of GPS data to go through, to compare the upgrades Renault and Honda brought here, but we need to confirm that in France and Austria before making a decision." 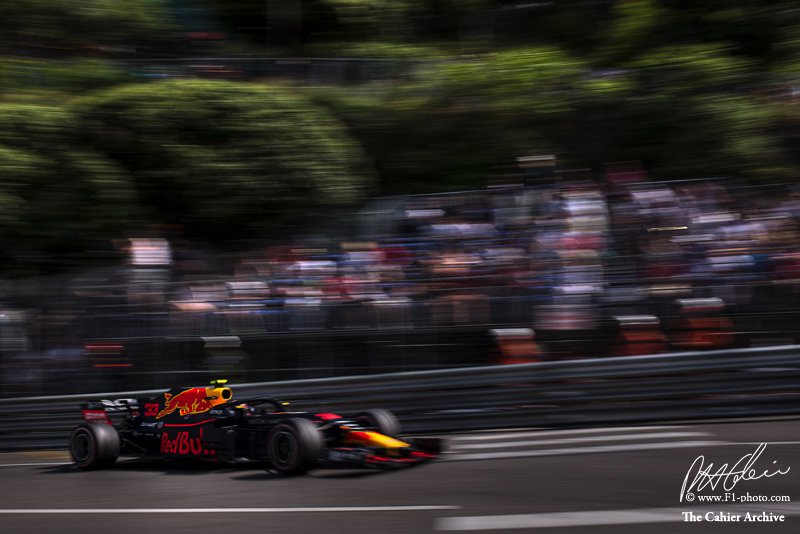 When that inevitable decision will come, Red Bull will be able to claim it was done purely on a sporting basis, backed the numbers crunched in Montreal, Paul Ricard and Spielberg. And if that announcement will be made at the Red Bull Ring at the end of this month, then the exposure would be huge for the Austrian company. Sensing that's the way things are going, Cyril Abiteboul went close to ballistic in Canada, claiming, "if we don't get an answer from Red Bull in the next few days we may to take our offer off the table", he said, adding that, "we're already behind schedule for some of our contractors, because some components have a very long manufacturing time, and we definitively cannot wait until the Austrian Grand Prix for a decision. We should have had their answer by now, but with the data collected in Canada I don't see what else they need to know before choosing what they want for 2019." Losing Red Bull will be a serious blow for Renault, both from a sporting and a commercial viewpoint. On the track the French manufacturer will lose its most competitive team, the only one capable of taking the fight to Mercedes and Ferrari, win races and accumulate podium finishes. With all the good will in the world, it's clear Renault's works team and, even more, McLaren, are not going to be in a position to challenge those two teams next year, even making a lot of progress, so Renault, as an engine supplier, won't feature at the front of the field in 2019 and that will hurt its image. Off the track, there's the net loss of a costumer and the income, estimated at 20 million Euros per year, coming from Red Bull. Put the two things together and it's easy to understand why Abiteboul was not a happy man as he left Montreal at the end of the Canadian Grand Prix.